This is episode 62 of You, Me, and BTC, the planet's most entertaining Bitcoin podcast! Cody Wilson is a Bitcoin lover and cryptoanarchist with a number of well-known projects. He recently tried to become a board member of the Bitcoin Foundation and promised to completely dissolve the organization if he succeeded. He didn't win the election in the end, but we'll chat today about what might have fueled his attitude and whether or not we agree. In other Cody Wilson news, he's offering double the market price for a special 3D printer because the manufacturer, Mark Forged, won't sell to him. Wilson's organization, Defense Distributed, has been 3D printing firearms for some time and Mark Forged is not comfortable with that. Update: He got the printer. Got it. Thanks for playing, Internet. Tune in for our thoughts on all that and tons more! Your hosts are Tim Baker, Daniel Brown, and John Stuart. Enjoy! Leave a comment and let us know what you think of the Bitcoin Foundation and Cody Wilson's 3D printed guns! 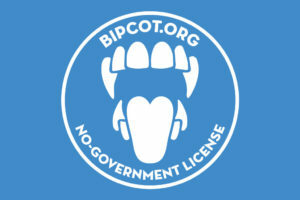 Also check out the Liberty.me Cop Block video that we mentioned in the show.